Skyrize. Advising Startups. Mentoring Designers. Online platform for creative project planning. Advising on all aspects of the business, product and marketing. Eco surfboards designed and manufactured in New Zealand. Advising on marketing and investor strategy. Online platform for early childhood education. Advising on all aspects of business, product and marketing. Online platform for digital design and prototyping. Advising on product, marketing and investor strategy. Online platform for geo mapping. Online platform for managing accounting firms. Advising on user research and marketing. Video tech for VR & AR holograms. Advising on product and marketing. 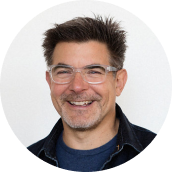 I’m Philip Fierlinger, co-founder of Xero (case study) where I was Head of Design for nearly 10 years. My career spans over 20 years, starting with my first client the Beastie Boys (case study) in 1995. I work with startup entrepreneurs and designers who are on a mission to create products people love. I’m dedicated to nurturing the talent pool of designers and quality of startups in New Zealand. I’d love to connect. Please get in touch.